ANOTHER GREAT DHARMA EVENT IN GREECE! Rinpoche will also talk about what we need to keep in mind throughout our spiritual journey in order to achieve the best result possible, by referring to the spiritual advice given by lineage holder Gampopa called ‘‘The Four Dharmas Of Gampopa”. Venerable Beru Khyentse Rinpoche is one of the few great teachers who still continue to transmit the highest tantric teachings and initiations of the Vajrayana Vehicle of Buddhism. He has received endless transmissions from many great masters of Tibetan Buddhism, like H.H. the 16th Karmapa, H.H. Dalai Lama, H.H. Dilgo Khyentse Rinpoche, H.H. Sakya Trinzin, Venerable Kalu Rinpoche as well as from many others. Rinpoche is considered to be a Rime, which means, holder of the four main lineages of Tibetan Buddhism, although his activity is clearly that of the Karma Kagyu tradition. 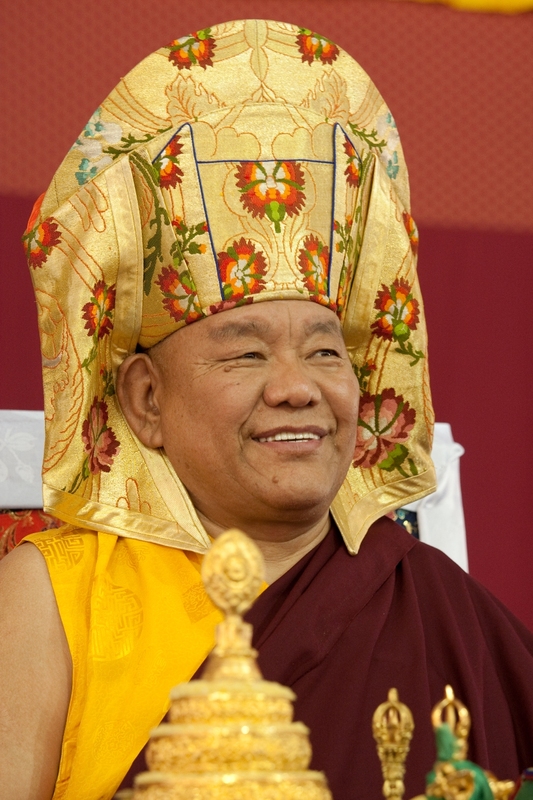 He has practiced the Vajrayana Diamond Way methods all his life and has all the qualifications and realizations needed in order to transmit them in a true and authentic way. to be able to receive such empowerments so, try not to miss such a great opportunity. Anyone can attend the general teachings. First of all Buddhist practitioners, whatever lineage they may belong to, no matter how long they have been practicing or what practice they do at the moment. Also, all those who are seeking to find an authentic spiritual path toward awakening are welcome to come and listen, no matter their age. The transmissions are actually intended for those who are already practicing or are doing their Preliminaries of Mahamudra (Ngondro). Whoever feels a strong connection to the lineage and is seriously taken practice as a way of life is welcome to receive the Mahakala transmission in order to eventually put it into practice. Concerning the Vajrayogini transmission, it is a very deep and advanced transmission that is never given publicly, so Rinpoche will give it only to serious and devoted practitioners who are intending to do the practice in retreat, in a proper way. Those who cannot do a retreat soon, but would like to do in the future, can also come to receive the initiation but they have to do the small daily practice of Vajrayogini until then. The benefits of this tantric practice are known to be immeasurable. IN ORDER TO PARTICIPATE in these transmissions, you will first have to communicate with us. In order to be able to receive a tantric transmission (not the general teachings), it is indispensible to have taken refuge in the Buddha Dharma beforehand. The meaning of refuge in short, is the conscious opening up of one’s mind to all the enlightened beings and their blessings and guidance but especially to the historical Buddha, the teachings of the truth or Dharma that he gave and to the Sangha, the spiritual guides or friends on the way towards enlightenment. By taking refuge in this way one puts the basis on which our practice can be firmly built until full enlightenment is reached. By having examined the path and having developed trust and understanding in it, through the taking of the refuge one consciously becomes a practitioner of these teachings. Those who haven’t yet received refuge should note it to us, together with their registration of participation. Rinpoche will give refuge before the initiation, so those of you who need to take refuge please make sure to let us know in time. This day has to do with Dorje Pamo initiation. The program will be announced to those who will be selected and meet specific conditions. For any further information concerning the registration, the program, the participation fees, do not hesitate to contact us in order to send you the whole information.